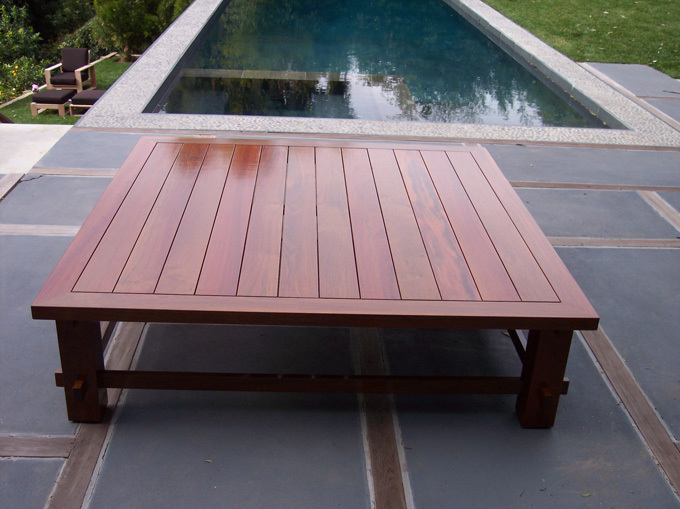 This outdoor coffee table is made from Ipe or iron wood. 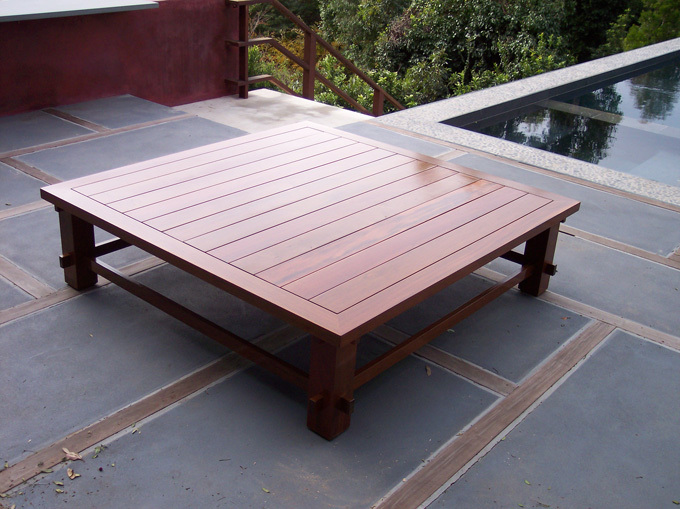 Ipe wood is very dense, it is very resistant to the outdoor elements . 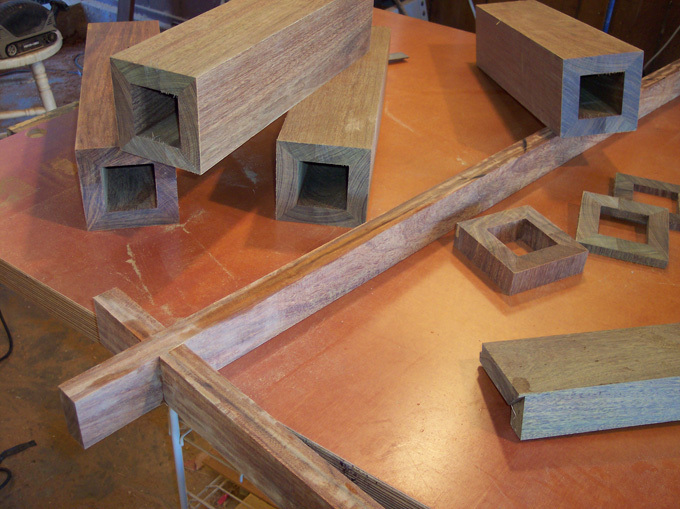 Left to nature the natural UV sun light and traditional weathering will change the ipe to a nice consistent light gray. 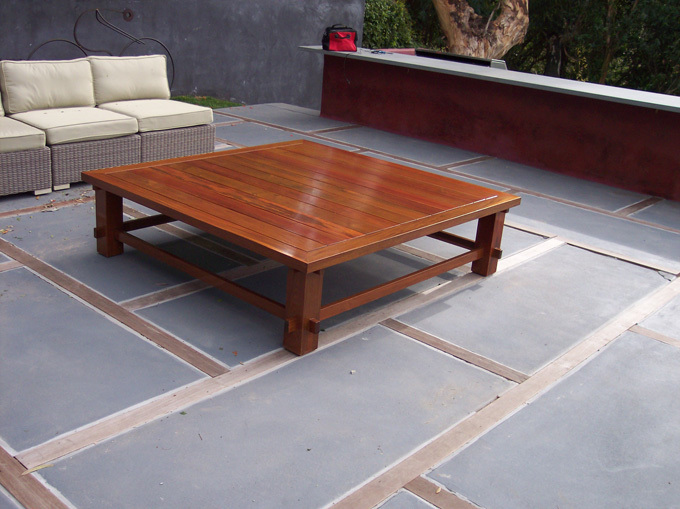 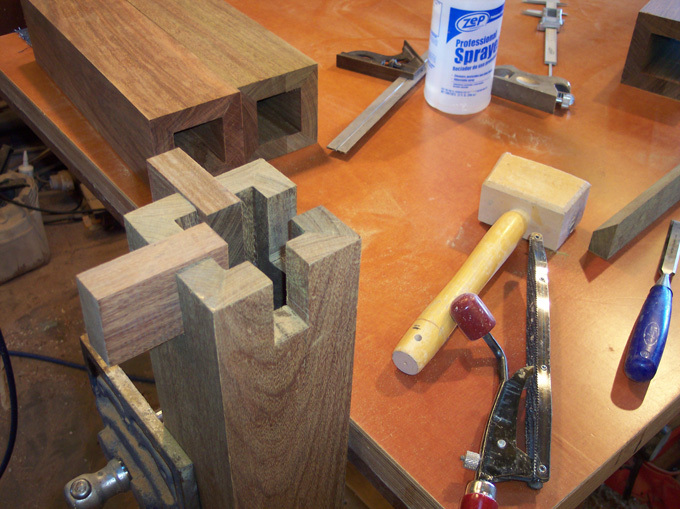 Finishes applied on an annual basis can be used to hold ipe's original color. 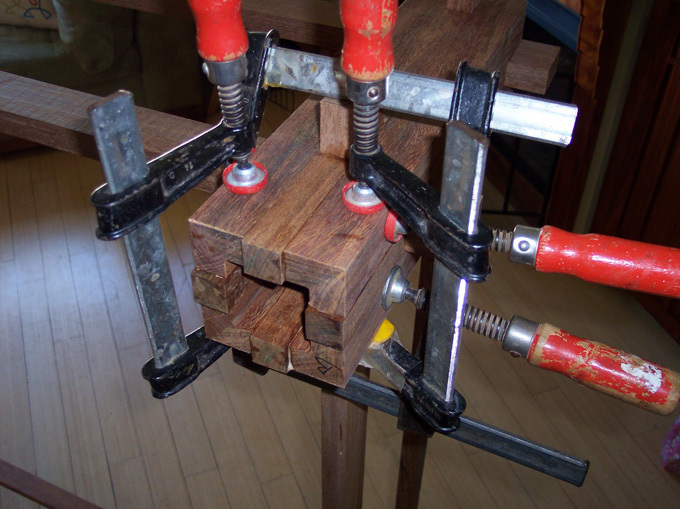 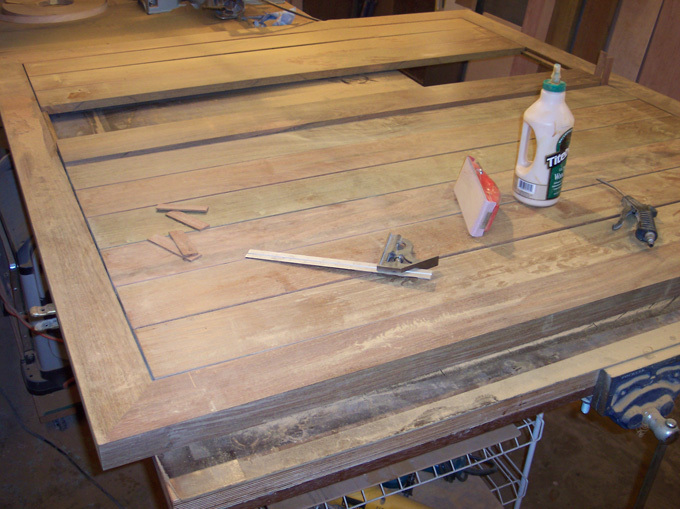 I used Sikkens clear coat to keep the rich tones of the wood. 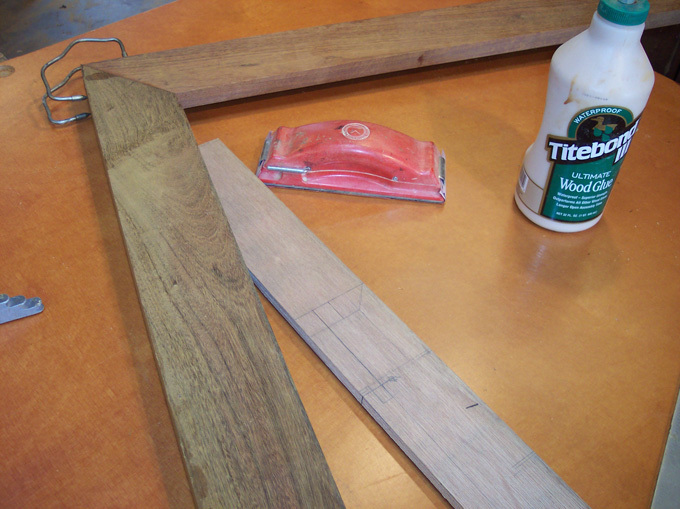 The glue I used was titebond type lll.